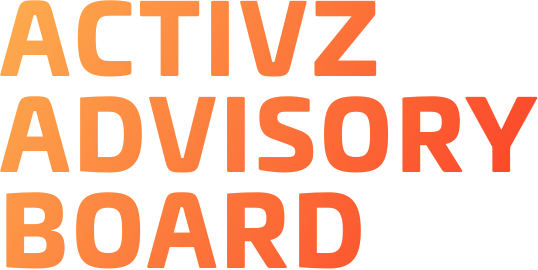 The ACTIVZ Advisory Board is comprised of leaders from the medical, military, academic and communication fields. The Board provides invaluable direction and strategic guidance for ACTIVZ, ensuring we’re continually advancing our products and company vision beyond the standards and goals we’ve previously set. Dr. Joe Maroon, M.D., pushes through with determination. 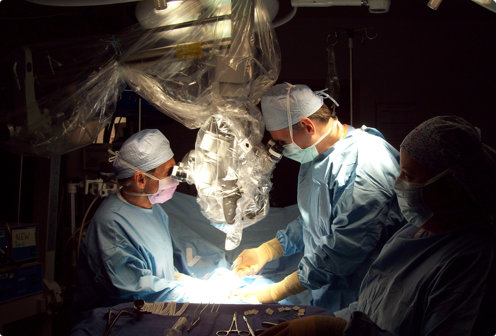 Dr. Joe Maroon, M.D., and Jeff Bost, PAC, work in tandem in the operating room. Dr. Daniel Hernandez, PhD, poses with world renowned biochemist and Nrf2 pioneer, Dr. Joe McCord, PhD. 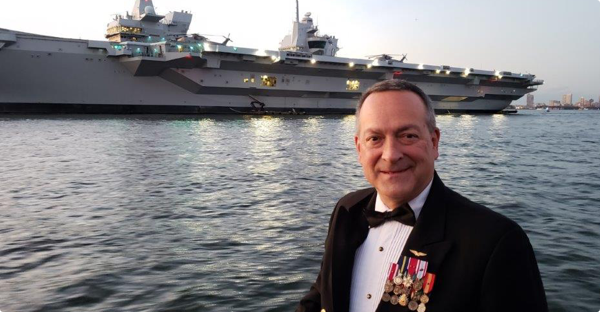 Vice Admiral Mat Winter is seen posing in front of an aircraft carrier. 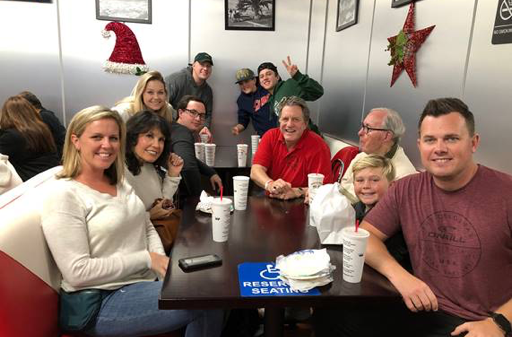 When Richard Jones isn’t working, you can find him catching up with his family. 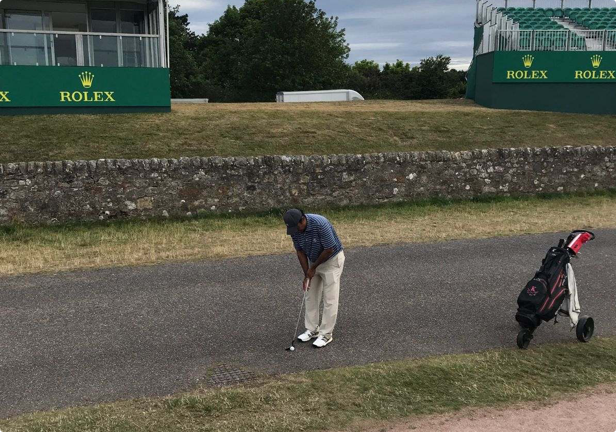 Playing it as it lies, Dr. Rish Patel, M.D., takes in a round of golf. ACTIVZ’ cutting-edge products are unique to the industry and provide a wide range of health benefits. I am most impressed with the decades of experience of ACTIVZ’ management team which gives the company a major competitive advantage. Joe is clinical professor and vice-chairman of the Department of Neurological Surgery and the Heindl Scholar in Neuroscience at the University of Pittsburgh Medical Center. He received his education at Georgetown and Oxford Universities, the University of Vermont, and Indiana University in Bloomington, where he is a distinguished alumnus. He has authored over 280 peer-reviewed scientific papers and six previous books, including Fish Oil: The Natural Anti-Inflammatory and The Longevity Factor: How Resveratrol and Red Wine Activate Genes for a Longer and Healthier Life. Joe is a sports medicine expert and has served as the team neurosurgeon for the Pittsburgh Steelers for over 20 years. He is also a member of the NFL Head, Neck and Spine Committee, and is the medical director for World Wrestling Entertainment. In the early 1990’s, Joe co-developed the ImPACT concussion test, the only FDA-approved, worldwide standard tool to assess concussions. He is the senior vice president of the American Academy of Anti-Aging Medicine. 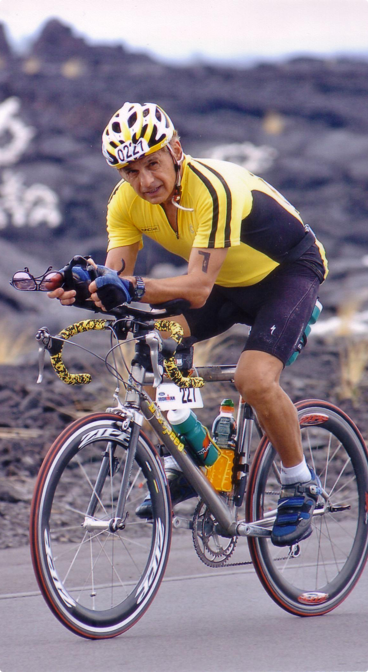 Joe is an inductee in both the National Fitness and the Lou Holtz Halls of Fame and remains a dedicated athlete, having completed eight Ironman triathlons – including five world championships in Kona, Hawaii – as well as over 70 other elite marathon and triathlon events. Honored to be part of the ACTIVZ Team; Scientifically proven products with an effective business model that generates personal results and success. Go ACTIVZ! 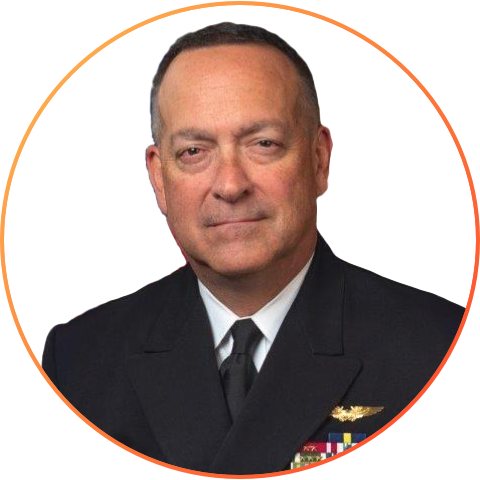 Vice Adm. Mat Winter is a 1984 graduate of the University of Notre Dame with a Bachelor of Science in Mechanical Engineering. He received his commission through the Naval Reserve Officers Training Corps (NROTC) and was designated a naval flight officer in 1985. Winter holds a Master’s in Computer Science from the Naval Postgraduate School and a Master's in National Resource Strategy from National Defense University’s Industrial College of the Armed Forces. He also received Level III certification in Program Management and Test & Evaluation from the Defense System Management College. Winter served operational tours, major acquisition tours and flag tours in a variety of capacities in locations around the globe. In May 2017, he became the program executive officer for the F-35 Lightning II Joint Program Office, leading the Department of Defense’s largest acquisition enterprise that is responsible for developing and acquiring the F-35, the most advanced next-generation strike aircraft weapon system for the Navy, Air Force, Marines and many allied nations. Winter’s major acquisition tours include assistant deputy program manager for the Joint Standoff Weapon System, chief engineer for Joint Strike Fighter Integrated Flight and Propulsion Control, deputy program manager for the Tactical Tomahawk cruise missile program, and his major acquisition command tour as the Precision Strike Weapons (PMA-201) program manager. As a Scientist, I am proud to closely observe the success of a company that cares about the science and technology behind their products. I am certain of the benefits users will find. 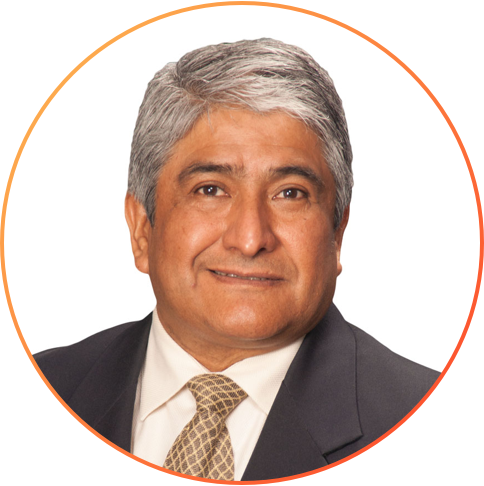 Dr. Hernandez has been deeply immersed in science over the past 30 years. He spent the early part of his carreer focused on marine biology at the Universidad Autonoma de Baja California Sur, Mexico, which enabled Dr Hernandez to obtain a Fulbright scholarship to pursue a Ph.D. degree at the University of Colorado (1994, Microbiology/ Immunology). In particular, he focused on the role that free radicals, antioxidants and redox modifications play in triggering inflammation. 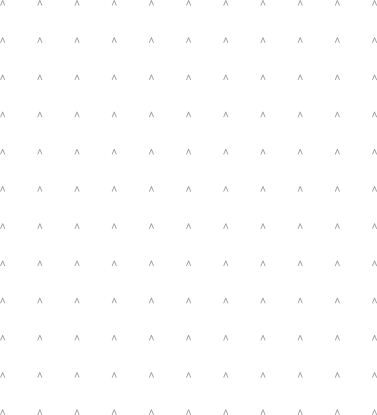 He has studied SOD2 at great length and discovered and biochemically characterized two coding mutations associated with the instability of SOD2, and another mutation associated with the expression regulation. 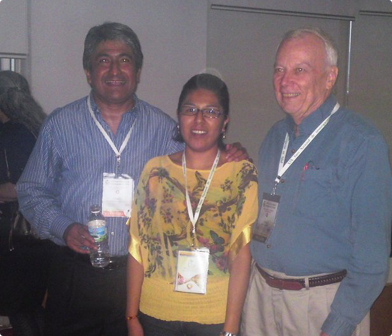 He spent 6 years (2006-2012) at the Biochemistry Research Unit in Hospital de Especialidades, Centro Medico Nacional Siglo XXI, Instituto Mexicano del Seguro Social doing research on the antioxidant status of thousands of patients with metabolic diseases. Additionally, in 2012, he had the opportunity to obtain extensive additional experience in pulmonary cellular biology and disease in the University of Colorado, Anschutz Medical Center in Aurora Colorado. His personal goals as a role model extend beyond the sciences: as a father of four children, he encourages them on a daily basis to chase their dreams while always keeping a good head on their shoulders, not only as professionals but as human beings. I am passionate about foundational medicine and root source treatments. I’ve aligned with ACTIVZ because they are impacting health in the world with unique supplement focused foundational therapy. I am passionate about foundational medicine and root source treatments. I’ve aligned with ACTIVZ because they are impacting health in the world with unique supplements focused foundational therapy. 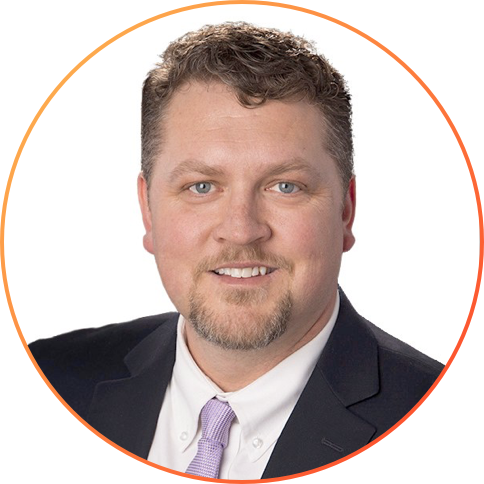 Dr. Brett J. Earl is a Board Certified Physician with over 18 years of experience in his field. Dr. Brett J. Earl received his Medical Degree from the University of Nevada, Reno. 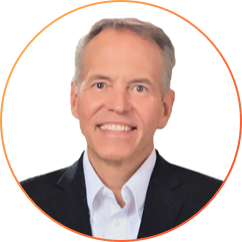 He has been published numerous times and serves on various Medical Boards in Utah and his clinical expertise includes Ozone, RenuO2 Procedures, PRP Injections, Nutrition, Ultraviolet light IV Infusions (UBI), Supplement Optimization and IV Recovery and Rejuvenation. After practicing Emergency Medicine for 15 years, and noting the benefits and limitations of traditional western medicine, he opted to study and practice integrative medicine. 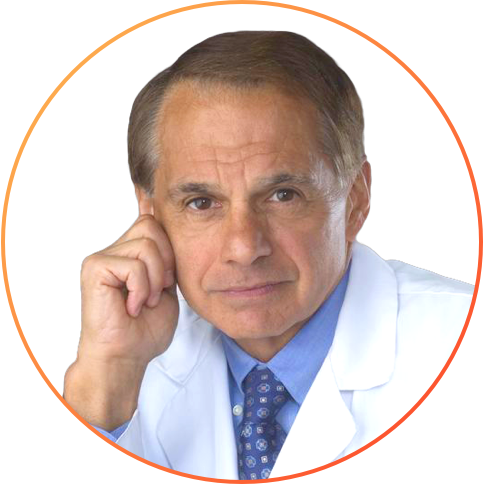 He focuses on restoring health, preventing illness, and avoiding prescriptions and surgeries whenever possible. Dr. Earl currently practices integrative medicine specializing in athletes and weekend warriors at his clinic, Denali Medical Center. Dr. Earl also served as a Life Flight Helicopter Physician and a Tactical Physician for the city of Toledo, Ohio SWAT team. Dr. Earl is married with six children. He enjoys farming, travel and all sports, and played college baseball. I am proud to be a part of the ACTIVZ team, dedicated to improving quality of life by enhancing the body's functionality through scientific innovation, a powerful tool that will dramatically alter how we perceive aging and health. 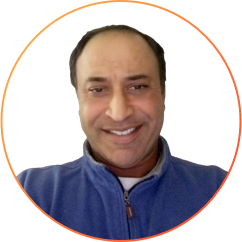 Dr. Amrish Patel is a Board Certified Physician with over 18 years of experience in the field of Anesthesology, Orthopedics and Pain Management. Dr. Patel is currently working with Broad Street Medical performing pain management cases including: lumbar and cervical epidural steroid injections, lumbar and cervical facet joint injections, laser assisted denervation of lumbar facet joints and radio-frequency ablation of cervical facet joints and lumbar discograms. Prior to his current position, Dr. Patel was the Anethesia & Pain Management Physician at Northern Jersey Interventional Pain Specialist P.C. Dr. Patel has served as the Medical Director and Pain Management Physician at Fort Lee Surgery Center in Fort Lee, NJ as well as the Pain Management Director at East Orange General Hospital. You cannot trade good science for ‘hype’, and ACTIVZ’ science is the source of my enthusiasm for their products. You cannot trade good science for ‘hype’, and ACTIVZ’ science is the source of the enthusiasm for their products. Richard was born in Palo Alto, California where his father, a Stanford MBA grad, and his mother, who was an opera singer at the Met and Juilliard grad, resided. Richard was a highly recruited football and track athlete and attended Brigham Young University on a football scholarship. He served a mission for his church before graduating from BYU with a degree in Advertising and Marketing. He spent one year at Columbia University before realizing he wanted to start his career in television. 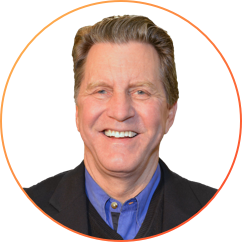 In his earlier years he held multiple roles in sales and television for companies such as Encyclopedia Britannica, PGW/NY and Blair Television, working in New York City and Chicago, before returning to San Francisco as an Account Executive of over 150 TV stations. He would go on to help build top-viewed and highly-billed stations in San Francisco and San Diego, all the while serving on multiple boards and committees for names such as Fox, UPN and CW. He started his own consulting company in 2010 and worked as an analyst developing bids to acquire multiple stations for investment groups. In 2013, Richard moved to Salt Lake City to oversee and manage several valuable media assets for Nexstar. Richard loves the process of building equity and value through creating a positive work environment and delivering positive ROI for his clients. He currently works in Salt Lake City on the Good4Utah and ABC4News brands and is continually developing new content for Nexstar Media Group. In his words, his greatest gift and blessing is his family. He married his college sweetheart Shelli, whom he met at BYU. They’re the proud and grateful parents to three sons; Justin, Rowan and Trenton, and one daughter, Kierstin. They have three grandsons; Carson, Jackson, and Hudson. 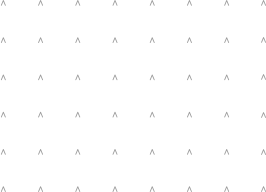 ACTIVZ has quality products that focus on unique health issues generally not addressed by other dietary supplements. I see a great future for additional innovation and super products. Jeff Bost PAC has been a Neurosurgical Physician Assistant and associate with Dr. Joseph Maroon since 1987. He is also a Clinical Instructor and Clinical Assistant Professor. He and Dr. Maroon have special interests in minimally invasive spine, concussion and brain surgery and have collaborated on scores of scientific medical papers and books in these areas. Mr. Bost is considered an expert in various subjects related to scientifically proven natural supplements. He is a consultant and advisor to several nutraceutical companies. He has presented at 100’s of medical and corporate meetings on a variety of medical and nutritional topics. Mr. Bost has also published over 300 scientific and lay articles on nutrition and has led over 40 research studies. He, along with Dr. Maroon, has written four books including, Fish Oil: The Natural Anti-Inflammatory (2006). Omega-3 for Optimal Life: Why You Need Fish Oil, Lulu Publishing Services (2016) and The Longevity Factor: How Resveratrol and Red Wine Activate Genes for a Longer and Healthier Life (2009).